Smallpox is by far the most concerning program Syria likely possesses. Syria has long been suspected of retaining strains of smallpox from its last natural outbreak in 1972, as well as possibly receiving genetically modified versions from North Korea in 2006. Unlike chemical weapons, many biological-warfare agents are highly infective, transmissible, have lengthy incubation periods and are genetically modified to circumvent current medical countermeasures. In light of this, it is indeed Assad's biological weapon complex that poses a far greater threat than his chemical-weapons complex. By ignoring this and letting itself become fixated on just the use of chemical weapons, the West is allowing Syria to retain a dangerous capability. In addition, back in September, an article entitled “Assad’s Biological Weapons Absent From US-Russia Deal,” appeared in the Times of Israel which attempted to argue that the chemical weapons agreement was insufficient due to the fact it only dealt with Syria’s chemical weapons stockpile – not it’s biological weapons, thus endangering Israel and other American interests in the region. The claims such as those made by van Aalst and Guitta, The Times of Israel, and by others in the Israeli and Western media thus raise a series of questions. Indeed, considering the track record of both the Israelis and West in regards to the Syrian crisis, the most important question is whether or not we are witnessing the beginnings of yet another pro-war propaganda campaign designed to stampede the world into a conflict with Syria or even if the new accusations are the precursor to yet another false flag operation to take place inside the country with the blame being placed on Assad yet again. Of course, the jury is still out regarding whether or not Syria even has biological weapons. As recently as July 2012, many “Western authorities” did not believe that Assad’s forces possessed such weaponry, according to the New York Times. 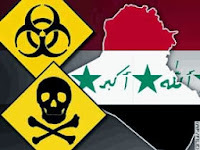 Furthermore, according to a study conducted by the James Martin Center For Nonproliferation Studies, written by M. Zuhair Diab, only the United States lists Syria as possessing biological weapons. While the U.S. government may possess secret information to back up its claim of an offensive Syrian BW capability, there is no hint of its existence from open sources. Syrian armed forces are equipped with defensive equipment but there are no reported exercises involving the offensive use of biological weapons, making it unlikely that they have been integrated into Syrian military doctrine. If security concerns have encouraged Syria to acquire and retain a CW capability, these motivations may not necessarily apply BW. Both Israel and Syria presumably recognize the negative military utility of BW because of the geographical proximity of the two states. Moreover, there is no modern precedent of employing BW on the battlefield, and the moral revulsion surrounding biological warfare is also far stronger than for nuclear or chemical weapons. Since the military utility of BW is uncertain, the functions of denial and punishment in Syria’s deterrent posture could be met more efficiently with CW. Indeed, what advantage could be gained from threatening the use of a completely untested method of warfare? At the same time, it would arguably be foolish for the leadership of a country involved in a serious military conflict not to research the effects of BW, if only to hedge against possible enemy use. Furthermore, the BWC currently lacks verification provisions, and until this deficiency is remedied, states engaged in military conflicts may wish to maintain at least a basic defensive research program. If a BW program exists in Syria, it may be motivated by the desire not to lag behind Israel in every field of military research and to retain the option to develop such weapons should the need arise. In other words, there is no conclusive evidence to show that Syria maintains a biological weapons program, particularly an offensive one, except for the claims by the United States and those recently coming out of Israel. Indeed, even if Syria did maintain such a program, it is important to point out that, while Syria is a signatory to the Biological and Toxin Weapons Convention, it has not ratified the treaty, thus it is not bound by law to abide by the rules of the agreement. This, of course, is not to say that Syria does not possess such capabilities. However, as Diab’s article points out, the likelihood that such weaponry, if possessed in the first place, would ever be used in anything other than a defensive manner is extremely low. The ability to control the direction and results of the deployment of biological weapons, the necessary domestic damage that would occur, and the inevitable outcry of the Western powers itching to invade are all unbelievably good reasons to keep whatever amount of these types of weapons the Syrian government allegedly possess defused. Regardless, the propaganda machine marches forward with new claims that Assad is “losing control of his biological weapons” much in the same vein as claims were made early on that he was “losing control of his chemical weapons.” These shrieks of horror, of course, came shortly before a series of false flag attacks which attempted to blame Assad for using chemical weapons on innocent civilians. These crimes were perpetrated not by Assad but by the death squads so ardently supported by the West. Similar to many of the catcalls of hysteria circulating throughout the media during the chemical weapons fiasco, claims are now being made that Assad’s alleged biological weapons are in danger of falling into the hands of al-Qaeda, thus posing a danger to the rest of the civilized world. Currently, many warnings regarding the alleged biological weapons stockpiles are coming from the British organization, the Henry Jackson Society (HJS). HJS claims that there is a “clear and present danger” of biological weapons falling into the hands of al-Qaeda and that “Jihadists are actively seeking to gain control of the regime’s biological weapons’ stockpile.” Indeed, the HJS report goes even further and suggests that the fundamentalists have already done so. The report claims that the Assad regime is losing control of its bioweapons arsenal, in part because it was never centrally-controlled in the way the country's chemical weapons stockpile has been. "Unlike chemical weapons, maintained in military designated stockpiles which are generally identifiable and which Assad maintains command and control over, the structure of Syria's biological warfare programs are latent, compartmentalized and spread across its remaining bio-pharmaceutical infrastructure. The programs are designed to be highly agile to allow swift production if required." Worryingly, the report suggests that the Al Qaeda-linked Nusra Front may already have possession of "biological pathogens or weaponized agents either of which would pose a threat to the international community." It points to the widespread looting of bio-pharmasuitical laboratories throughout the country, and cites a "credible eyewitness" as claiming to have personally witnessed "a looted pharmaceutical laboratory," near Aleppo, where Syria's biological weapons program is concentrated, "which was probably a cover for a biological weapons production site." The fact that a Malaysian Al Qaeda operative named as Yazid Sufaat, identified as "Al Qaeda's primary biological weapon expert", was arrested in February as he attempted to enter Syria, was said to indicate the clear interest that the group has in developing such a program in the country. But HJS's Associate Fellow Dr Bellamy van Aalst, a former EU and NATO bio-defence consultant, warned against complacency, in light of the relative availability of already-weaponized and readily-deployable biological weapons in Syria. Logically, several points come to mind after reading the above statements. First, if the production process of biological weapons is “indistinguishable from benign biological lab processes,” how then are the observers such as HJS so sure that the facilities which they claim are biological weapons facilities are not, in actuality, nothing more than bio-pharmaceutical facilities. With such vague and inaccurate observation, how are intelligence agencies, governments, and militaries sure that the facilities have been weaponized or even that the biological weapons exist. The whole theory behind the threat of biological weapons thus appears to be little more than politically-based conjecture and a stretching of facts that has become so typical of western pro-war propaganda. Second, as the Israel National News article reports, the publicly-stated reason for concern over the Syrian biological weapons program revolves largely around the potential for such weapons to come into the possession of jihadists, al-Qaeda, and other fanatics currently fighting against the Assad government. Indeed, we are even told that there is a strong likelihood that al-Qaeda fighters already have taken possession of a number of these biological weapons. The al-Qaeda linked al-Nusra front is specifically fingered in this regard due to the fact that several bio-pharmaceutical laboratories have been looted as of late by the terrorist organization and that bio-weapons “experts” from al-Qaeda have recently been caught trying to enter the country. Of course, if the danger is that al-Qaeda might gain control over such weapons, why pressure Assad in the first place? After all, it has been Assad who has fought al-Qaeda and all of its affiliates tooth and nail for the last three years, dealing them steady and crushing defeats along the way. If anyone is to be blamed for terrorists and terrorist organizations coming into the possession of biological weapons, it is the United States, Britain, France, Saudi Arabia, and the rest of the coterie of terrorist supporters who have trained, funded, organized, and directed death squad operations in Syria in earnest since 2011 and as far back as 2005. Lastly, and perhaps most concerning, is the possibility that this developing propaganda campaign could be designed to act as a precursor to yet another false flag perpetrated by the death squads to be blamed on Assad in order to justify a military action against Syria. As bad as conventional warfare and chemical weapons may be, the use of biological weapons will be even worse. Indeed, it is important to remember the constant barrage of propaganda surrounding the ridiculous red line of chemical weapons usage by President Barack Obama and Skull and Bones John Kerry shortly before chemical weapons attacks conveniently began occurring in Syria, each time growing in intensity and each time being proven to have been the work of the death squads and not the Syrian government. Thus, the question remains: Are we seeing the cause of imperialist aggression gasping for air as it is caught in the middle of its own death throes, or are we witnessing the beginning of a campaign that will end in the release of biological weapons inside Syria with the blame immediately being placed on Assad, which will then be used to justify a military invasion? Although only time will tell what the real purpose of such fear-mongering may be and the result it may bring, it is important that the American people remain unfazed by such pro-war propaganda.